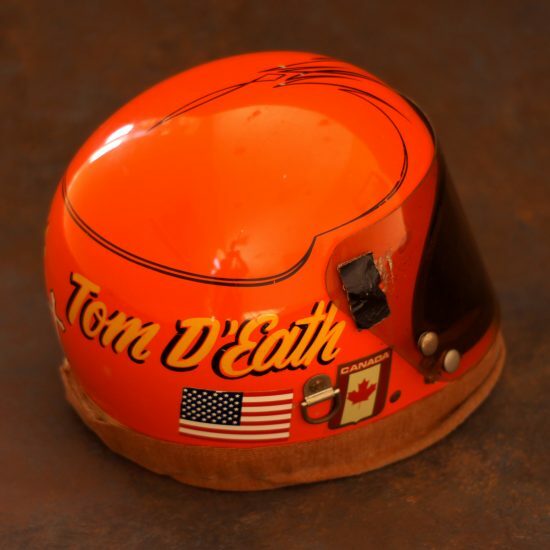 Tom D’Eath has excelled in the sport of hydroplane racing as a famed driver, designer, and builder. As a driver, he has won national championships in nearly every class of hydroplane racing. He is the winner of three APBA Gold Cups (1976, ’89 and ’90) and added Prince Edward Canadian Gold Cup titles in 1974, ’76 and ’80. He remains the only three-time winner of both. 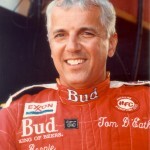 In 1988, Tom was named APBA “Outstanding Driver” while piloting the famous Miss Budweiser. When he retired in 1991, D’Eath was sixth on the all-time list of unlimited victories with 16. 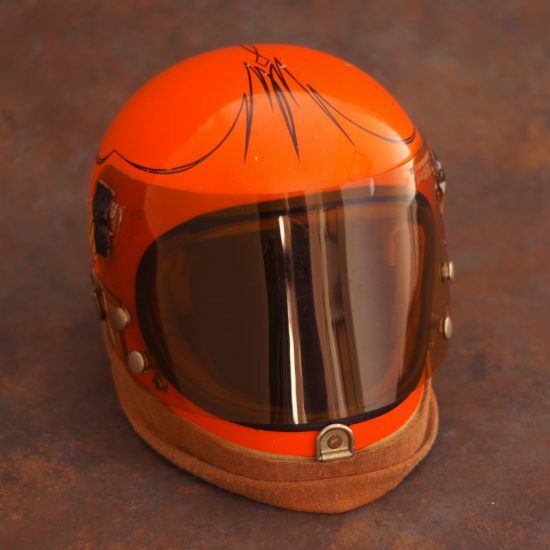 He was inducted into the Unlimited Hydroplane Hall of Fame in 1997, the Michigan Motor Sports Hall of Fame in 1998, and the Motor Sports Hall of Fame of America in 2000. 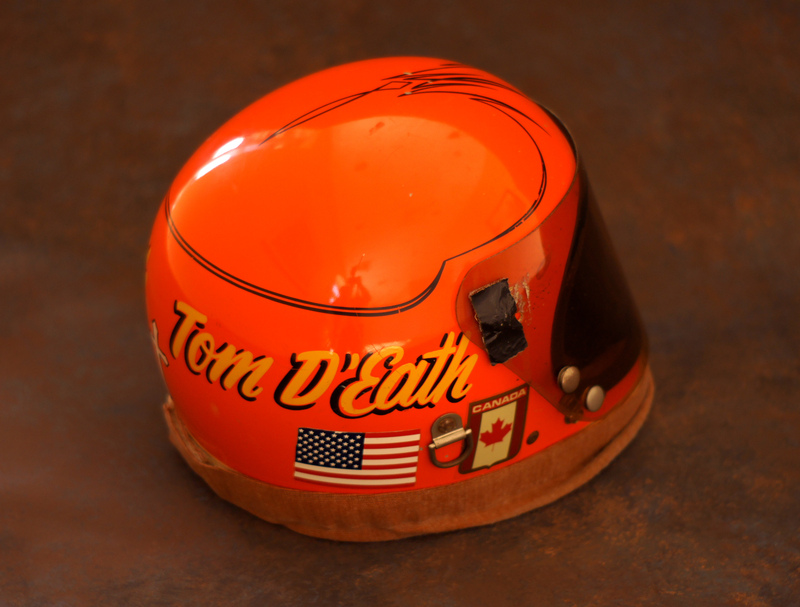 Tom D’Eath grew up in a hydroplane family. As a child, he watched his father, the late Al D’Eath, drive numerous vintage racing craft. His brother, Roger D’Eath, is a former Unlimited pilot. In Tom’s words, “I look at racing as a challenge. I thrive on the technical part of the sport, which is to make that piece of equipment (the boat) superior to anything else in the pits. One of the top Limited Inboard drivers of the 1960s and early 1970s, he was a three-time National Champion and also set three world straightaway records in the 150 Cubic Inch Class with SOUTHERN STYLE. D’Eath received his first Unlimited Class assignment when Detroit industrialist George Simon hired him to wheel the red, white, and blue MISS U.S. in 1973. 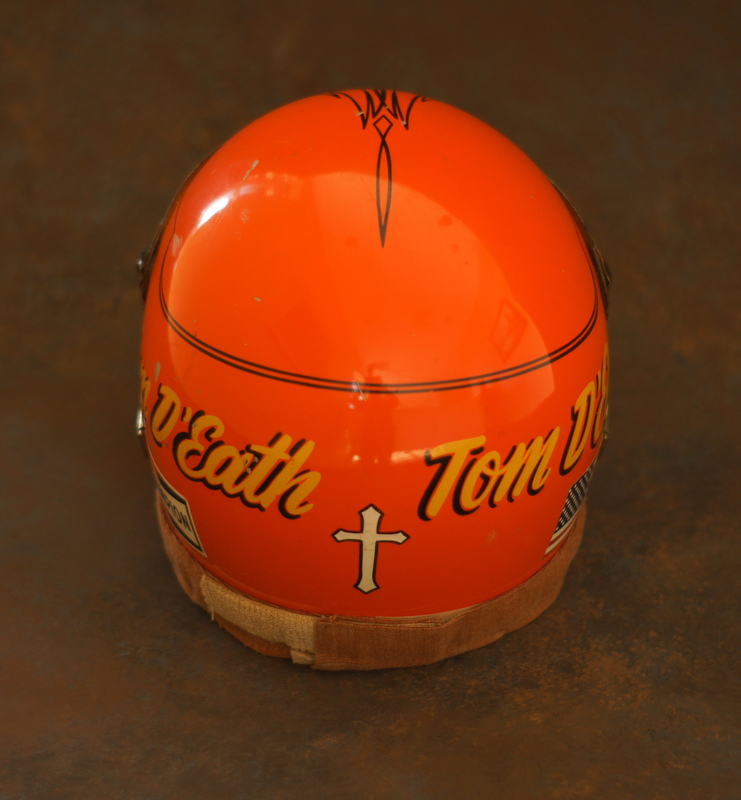 Tom’s first Unlimited race victory was the 1975 Gar Wood Trophy on his hometown Detroit River race course. His most memorable race during the Simon years was the 1976 APBA Gold Cup in Detroit after a sensational duel with Bill Muncey in ATLAS VAN LINES on extremely rough water. Muncey had visions of winning Gold Cup number-six in 1976. It was up to D’Eath to disappoint him. MISS U.S. had been battling mechanical gremlins throughout the day. In Heat 2-B, the Allison engine had sputtered and lost oil pressure. And the stabilizer wing had come loose. But luckily for D’Eath, he had enough time to return to the pits for hurried repairs and come back out to win. For the Final Heat, crew chief Ron Brown used an engine that the MISS U.S. team had not planned to use. They did not know if it had what it took to win. The power plant that they had intended to use was not working properly that day. Muncey also had the advantage of Rolls-Royce Merlin power, while D’Eath had to make do with a turbo-Allison. MISS U.S. grabbed the inside lane at the start. At the end of lap-one, D’Eath led Muncey by three boat lengths. Then ATLAS VAN LINES caught up with MISS U.S. in the Belle Isle Bridge turn of lap-two and powered into the lead, which it held for the next two laps. The partisan crowd collectively groaned. It appeared to be Muncey’s race to win. MISS U.S. overtook ATLAS VAN LINES with one and three-quarter laps to the checkered flag. D’Eath had to go all out–in the 165 mile an hour range–or Muncey could have established an overlap and legally cut over in front of MISS U.S.
MISS U.S. averaged 108.021 for the Final Heat with ATLAS checking in at 105.386. With the retirement from racing of the MISS U.S. team after 1976, D’Eath concentrated on Limited hydroplane action for several years and did not take the wheel of an Unlimited hydroplane again until 1982. In 1986, D’Eath “retired himself” from Unlimited racing. His mind was made up. He would race with competitive equipment or not at all. While on hiatus from the Unlimiteds, D’Eath kept his driving skills sharp with Limited hydroplanes and USAC midget cars. But he figured that his Unlimited career was over. After two years on the sidelines, Tom accepted an offer to work as an Unlimited Assistant Referee at the 1988 season-opener in Miami, Florida. For the first time, he left his driving suit at home and exchanged it for a Referee’s shirt. Then, something happened at Miami that put D’Eath back on the list of active drivers. The defending National Champion MISS BUDWEISER was run over by another boat and pilot Jim Kropfeld was seriously injured. A top-notch replacement was needed in a hurry. Tom’s old friend from the MISS U.S., Ron Brown, was the BUDWEISER crew chief. He recommended D’Eath for the job. When the call came through from owner Bernie Little, Tom accepted immediately. After so many years of piloting just about anything that would float, D’Eath had achieved the most coveted “ride” in all boat racing. He was the driver of the MISS BUDWEISER. The year 1988 proved to be one of those times when a lot of things went wrong but–in the end–managed to work out all right. After the accident at Miami, no one expected the Anheuser-Busch-sponsored team to repeat as High Point winner. But that’s exactly what happened. Despite being washed down at Detroit and flipping the boat at Evansville, Tom D’Eath did himself proud. He won four of the last five races and retained the national title. The year’s closest finish occurred at the Tri-Cities, Washington. MISS BUDWEISER outran Chip Hanauer and MISS CIRCUS CIRCUS to the checkered flag by an incredible 97 one-hundredths of a second in the Final Heat. In 1989, Tom took the “new and improved” MISS BUDWEISER and sparked the Bernie Little team to an unprecedented fourth straight National High Point Championship. The highlight of the season occurred at San Diego when D’Eath snapped rival Hanauer’s seven-year win streak for the APBA Gold Cup. Tom would not be denied his first Gold Cup triumph since 1976. 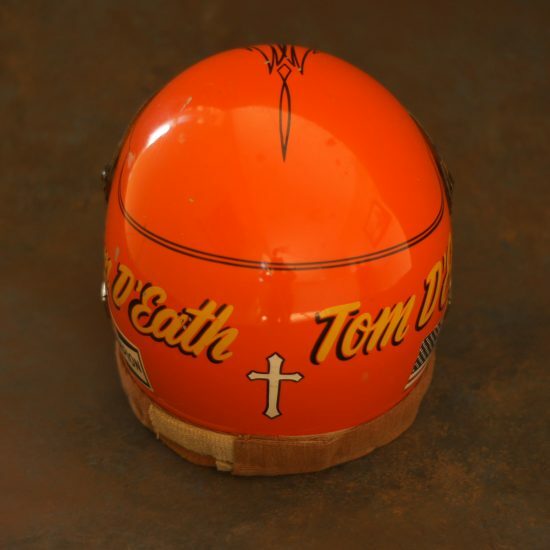 In 1990, Tom became the second driver to win the Gold Cup in three different decades (1976, 1989, and 1990). Bill Muncey was the other. On his last day as an Unlimited driver, Tom went out a winner by taking first-place with MISS BUDWEISER in all four heats of the race at Pearl Harbor, Hawaii. This brought his Unlimited career victory total to sixteen. On May 25, 1991, D’Eath was injured in a NASCAR Sportsman series event at the Charlotte, North Carolina, Motor Speedway. Tom suffered a fractured vertebra. This brought an end to his racing career, but not to his involvement in the sport. In 2003, Detroit’s Gold Cup racing tradition might have died on the vine if not for the heroic efforts of Tom and Judy D’Eath. The sponsoring Spirit Of Detroit Association, after years of fiscal mismanagement, finally went bankrupt after having staged all of the Unlimited races on the Detroit River since 1962. As late as June 2003, there appeared to be no hope for a Motor City race. Then, almost overnight, a new organization, headed by Tom and wife Judy, sprang into being. Inside of two months, the Detroit River Regatta Association (DRRA) put on a successful 2003 Gold Cup on August 23-24 and made a profit in so doing.